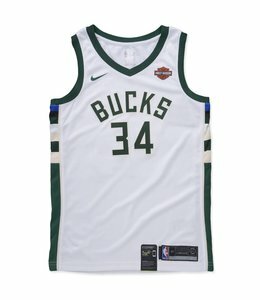 Milwaukee Bucks 1971-72 Kareem Abdul-Jabbar Swingman Jersey in white. 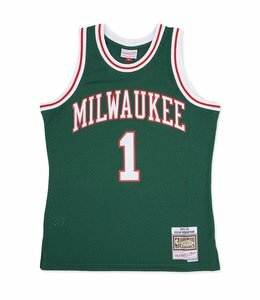 Milwaukee Bucks 1970-71 Kareem Abdul-Jabbar Swingman Jersey in green. 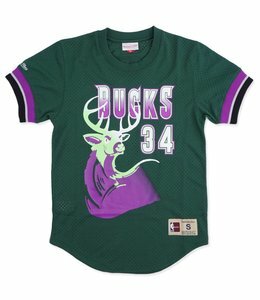 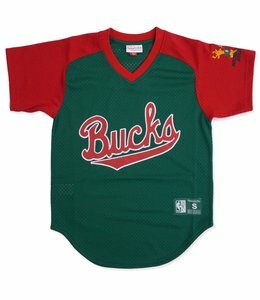 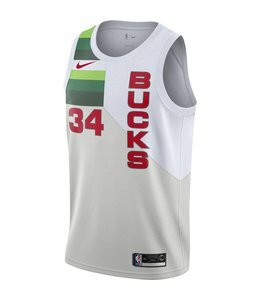 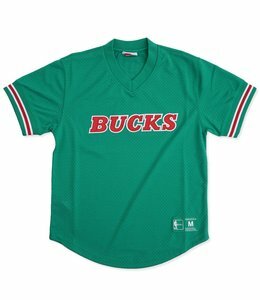 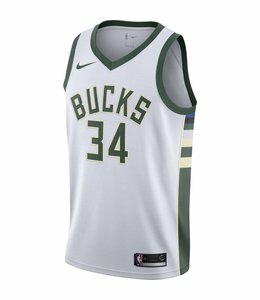 Milwaukee Bucks 1971-72 Oscar Robertson Swingman Jersey in green. 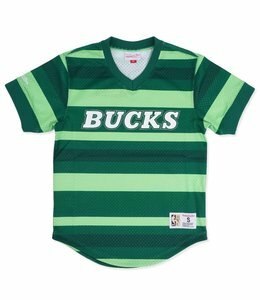 Bucks poly mesh v-neck top featuring allover sublimated stripes and screen printed logo at front. 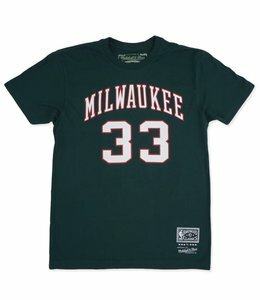 Bucks Hardwood classics mesh v-neck top featuring satin filled applique lettering at front. 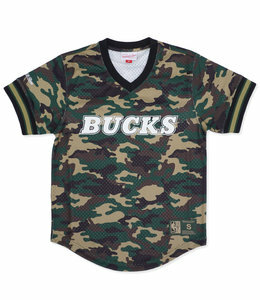 Bucks mesh V-neck top featuring screen printed graphics at chest and sleeve. 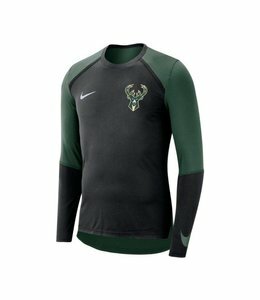 Milwaukee Bucks Hardwood Classics Ray Allen mesh crew neck shooting shirt. 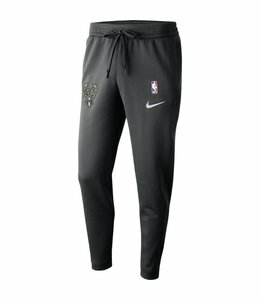 Nike innovation meets NBA pride with the Milwaukee Bucks Nike Therma Flex Showtime Men's NBA Pants. 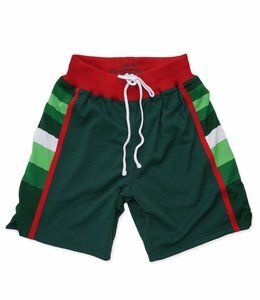 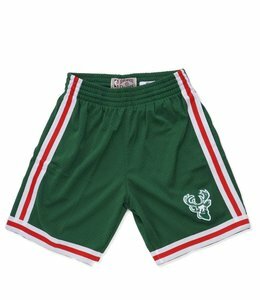 The official on court shorts worn on the road by the Milwaukee Bucks during the 1983-84 Season. 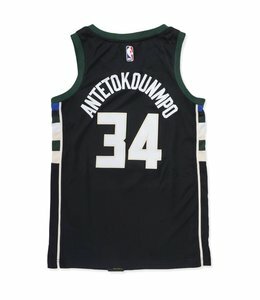 Milwaukee Bucks Giannis Antetokounmpo authentic Statement Black Nike Swingman jersey.